I have been thinking about writing a post on forgiveness for a while, but what happened recently finally made me do it. I found out that one of my dear friends had just gone through a painful breakup because of unfaithfulness. My heart aches for her and for all the people who have to go through a betrayal like that. The day when your closest, dearest person ruins your trust is the worst day of your life. When everything you've lived for just walked out the door... Is a situation like that really hopeless, and there is no turning back? I wish I could say that I had never gone through unfaithfulness in a relationship, but, unfortunately, I have. No, not with my husband; it was before that. It was painful and terrible and awful... but I found strength to forgive. Or so I thought. It was not until I met my husband that I learned about the true power of forgiveness. He taught me that people too often say "I am sorry," when they do not really mean it. When you say you are sorry, you do not truly admit you are in the wrong. It is more like you are saying that you are sorry the other person feels upset. It was not your fault they chose to feel that way. However, when you ask someone to forgive you for something, it is a whole another story. When you ask for forgiveness, you humble yourself; you admit your fault. You are vulnerable and are completely at mercy of another person. When that person forgives you, he or she: 1) promises to treat you as if the incident never happened; 2) never brings it up again. True forgiveness restores the relationship, reconciles you two, and brings you much closer together. After I had "forgiven" unfaithfulness, I thought it would not leave any scars. However, it continued to haunt me and eventually contributed to that relationship's end. Because I had not understood what it really meant to forgive, I would bring it up again and again, hurting everyone. Is forgiving someone who hurt you too bad that simple? Absolutely not, but it is a difficult choice that we have to make. 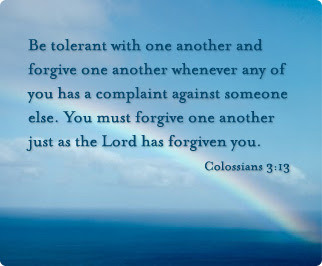 Our Lord forgave us for all our inequities, so this is the least we can do. We do not deal with serious issues in our marriage, but when we do hurt each other accidentally, asking for forgiveness (and forgiving) always, always works. It brings your freedom and peace and makes your relationship strong. As the date of when my husband gets out of the Army quickly approaches, we have to figure out our whole life once again. He is taking different workshops that are supposed to help us transition from military to normal (civilian) life and obtain balance in financial, educational, career, and emotional areas. Where will we live? Where will we work? What about (future) kids? Health insurance? 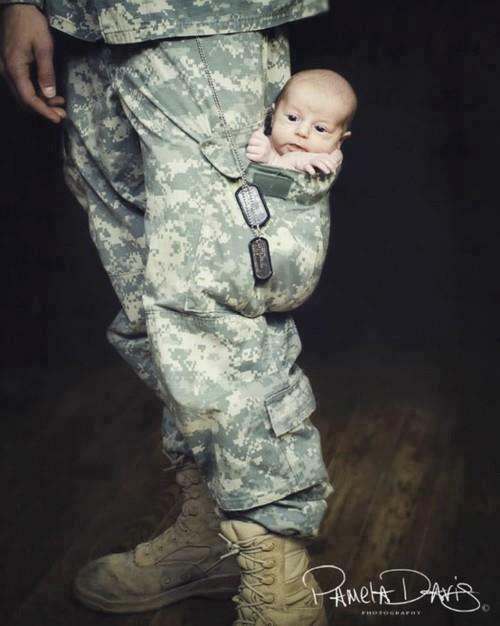 All of a sudden, we have to take care of it all ourselves instead of the Army making decisions and taking care of us. It feels like we are fresh out of college, and the whole world is open to us. Except, we are not 22 years old anymore. Are we scared? No, not really. Overwhelmed and stressed out, yes, but more so excited about finally being together. As I mentioned before, out of 2.5 years of marriage, we have been together for only half of that time. Now, we will finally have time to make all of our dreams come true instead of just postponing them until some unknown future point. 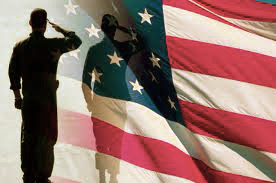 TRICARE Health Insurance: The best health insurance ever! It is hard to say what it does not cover. We will now have to learn what Obama Care and co-pays are all about. 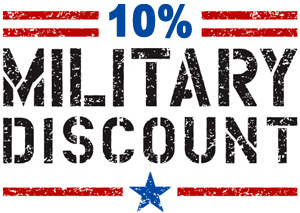 Military Discounts: 10% off at movie theaters and Banana Republic... I will miss you so much! Monthly Housing Allowance: I wonder if any other job gives you a housing allowance in addition to your paycheck... probably, not. Would be nice to have it, though! USO: I stayed at the USO compounds at a couple of the airports when I had a big gap between my flights, and it was quite lovely. Free food, free WiFi, free sleep, and warm welcomes. Military Uniform: Even though my husband usually changes at work because he does not like to attract people's attention, I caught him wearing his uniform a couple of times. He looks stunning in it! I always wanted to have a photo shoot with him wearing his military uniform, but that never happened. I also wanted to incorporate military theme into our first baby's pictures, but that, obviously, also has not happened. However, my husband promised to keep one uniform just for that purpose. Wouldn't a picture like this be absolutely adorable? Commissary and PX: I love those military stores. Lower prices on groceries and other goods, plus no tax - it is hard to beat. Gym at the Base: It was a really good gym where I could use kettlebells and drop weights when doing deadlifts. Will miss that. Honor: I feel honored to be married to a man who has protected this country for the last five years. He has gone through so many unimaginable obstacles! I could never go through those hardships, and I stand in awe before this man. I thank God for giving him the discipline and the wisdom to rely on Him during the toughest moments. This is true: Army brought many good things into our life. However, none of them is worth the separation, the constant worrying, and the scary thoughts that creep into your head every time you watch the news (that is why you try not to watch/read/listen to the news). I'd much rather have my husband by my side than having all the greatest things that Army can offer. I am thankful that the Lord brought my David home safely and am looking forward to what He has in store for us.